The 2013 Mammoth Kamikaze Bike Games on Sept 4-8, will be the final stop of the Pro Mountain Bike Gravity Tour! Come see top World Cup riders like Aaron Gwin, Logan Binggeli and Jackie Harmony up close as they shred the Mammoth turf. 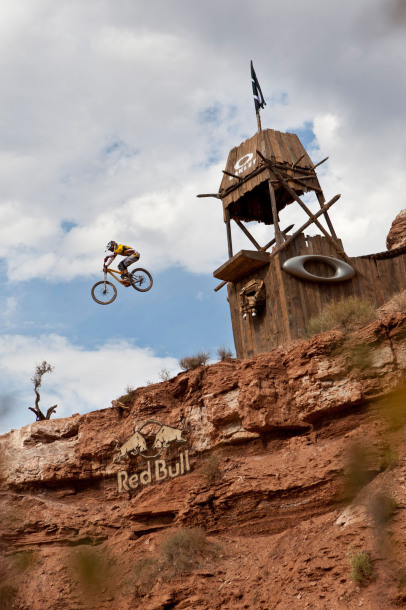 Logan Binggeli at 2012 Red Bull Rampage.